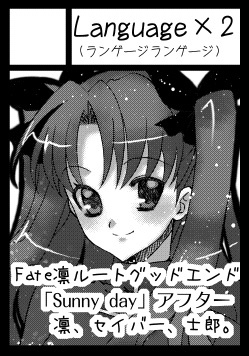 I had made a Doujinshi of "Fate/stay night" about 3 years ago. One is a Novel Doujinshi, so people without reading Japanese are hard to read. Now, I'm translating one to English. 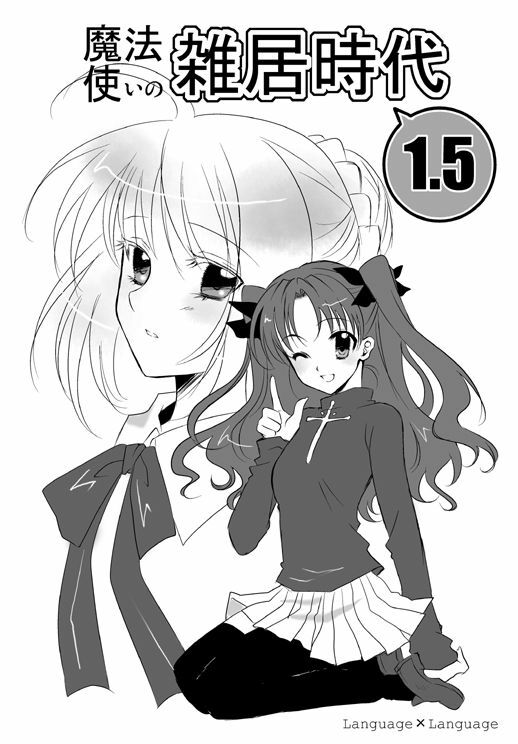 If you are interested in Doujinshi of Saber and Rin, Please do the waiting with expectation. A symbolic "Bridge" in Fate/Zero. Altough there are a lot of "Bridge" Scenes in Fate/Zero, "Bridge" has symbolic meaning in this Anime. Nitobe Inazoh(author of "Bushidho") who is famous in Japan said "I wish to be a bridge across the Pacific" when Japan was Meiji and Taisho eras(about 19 century). In that context, "Bridge" is a symbol of the point between values and values. In Fate/Zero, Saver's values(philosophy), Kiritsugu's philosophy, many Masters and Servants philosophy, there are a lot of values, and those are crossing each other at Holy Grail War. So, "Bridge" is symbol of this Animation. Sometimes, I will try to introduce a critical essay(about Anime) in Japan to other language people. Thanks. Fate/Zero Blog TOP illust full ver. My friend Kiryu(she makes good illusts) has updated the large size of Fate/Zero illust(cool Saber and Irisviel!) in her homepage. Tomorrow, Fate/Zero episode1 is aired on my local area(Sendai, Miyagi) in Japan. I will enjoy it. 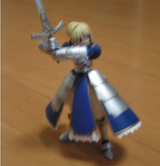 I have received a NEW Fate/Zero Blog TOP illust. I have received a NEW Fate/Zero Blog TOP illust from my friend. The cool Saber and Irisviel! Fate/complete material I Art material.